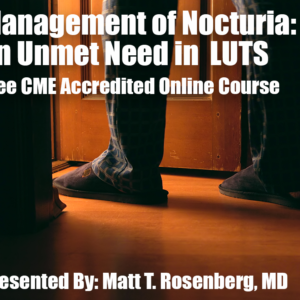 This online CME course will provide an update on treating patients with nocturia, overactive bladder (OAB), and benign prostate hyperplasia (BPH). 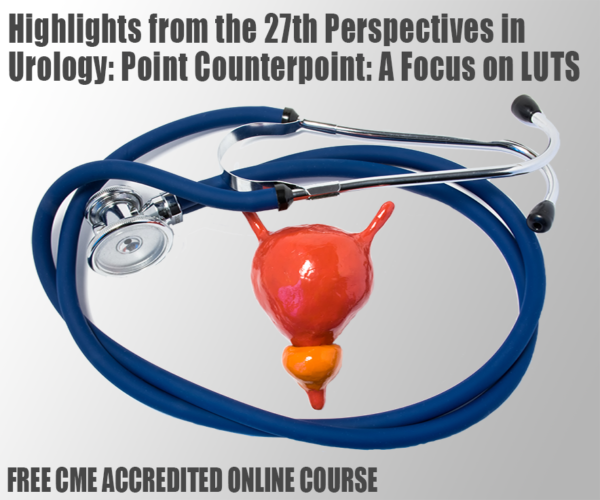 The goal of this program is to best address the identified gaps and educational needs of primary care physicians, urologists, and other healthcare providers who diagnose and treat these patients. The program aims to meet the goals of developing education that is scientifically rigorous and relevant to both academic and community-based clinicians.